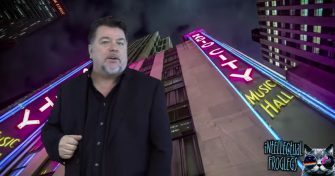 Our good friend, Joe Dan Gorman, after brief hiatus to upgrade old equipment, is back with a new and improved (technically) and predictably hilarious Intellectual Froglegs installment. Nothing like vintage Peter Sellers playing the bumbling French detective, Inspector Jacques Clouseau. 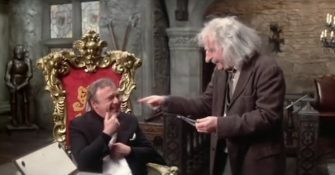 And especially when Clouseau encounters Chief Inspector Charles LaRousse Dreyfus. 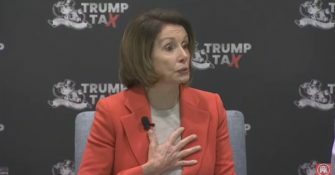 Botox Babe Nancy faced DACA delinquents screaming at her during a Town Hall where she intended to soothe the malcontents with words of assurance that Democrats had their illegal backs. 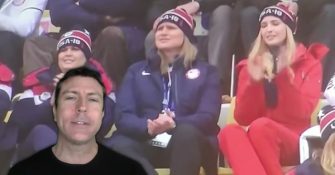 What is the deal with Lefties that they can’t enjoy the simplest of things, such as the Olympics? 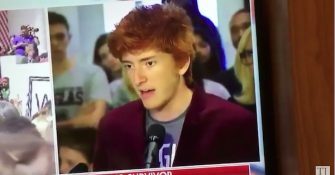 Every last thing is political to The Left. Forget about good-hearted patriotism and camaraderie! 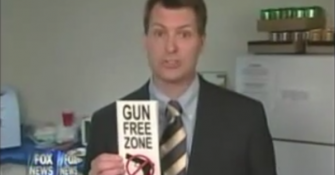 How safe would you feel with a big ‘Gun-Free Zone’ sign on your front lawn? Personally, I’d rather have the sign that says “Nothing inside worth dying for” above a picture of a rifle. 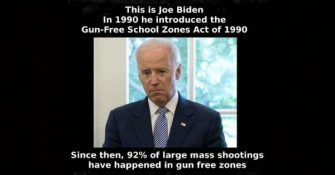 Remember this is the same Joe Biden that had some real spiffy advice for his Missus Jill Biden concerning safety at their secluded home. 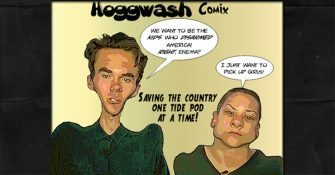 Those teens, still grieving, are being used as shills by the Lefty gun-grabbers whose ultimate goal is disarming the American people so the Enlightened Elitists can control the unwashed masses. 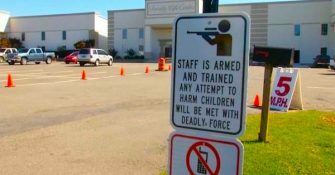 Teachers and Staff Should Be Packing Heat at Schools, Churches, Etc. Teachers qualified and trained to conceal carry should carry. Church members and pastors trained to conceal carry should carry. San Fran Nan blurts out words without, it seems, forethought or reason. The resulting poppycock is either highly inappropriate or completely untrue or both. Seventeen innocents were murdered last Wednesday. It was an evil act by a troubled young man who happened to use a firearm as his weapon. Hey! 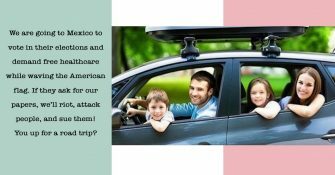 What If We Entered Mexico Illegally and Made Demands? The Left doesn’t want a wall. 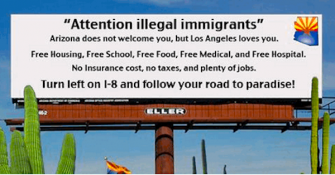 The real irony is that Mexico has some pretty darn stringent demands of any foreigners coming to THEIR country. 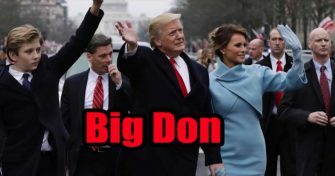 Now some quick thinkers have created a great parody based on Jimmy Dean’s hit ballad named ‘Big Don.’ As in Donald Trump. Comically Incorrect Owner/Editor-in-Chief (Cartoonist-in-Chief), A.F. 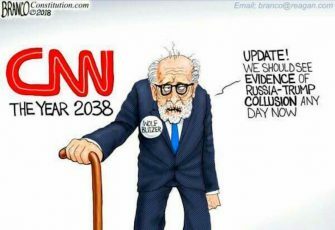 “Tony” Branco, created a ‘toon to memorialize CNN’s Blitzer in all his collusion-hunting glory, and even President Trump enjoyed it enough to tweet it out to his 47.9 MILLION followers. 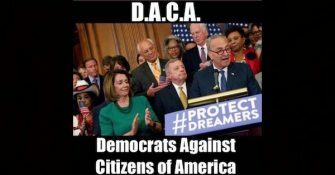 Nancy Pelosi can chalk up another sound bite to the Really Stupid Hall of Fame. 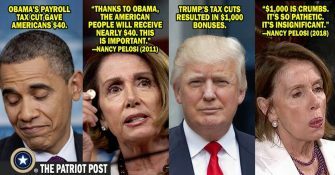 Pelosi waxed ignorant in response to the $1,000 bonuses to American workers post Trump tax cut. But us Deplorables, we have the election night videos to relive the triumph of normal Americans who love this country and her Constitution. 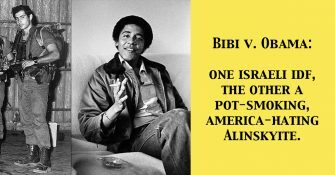 No Wonder Bibi Netanyahu Was Overjoyed to See Obama Exit the WH! It was clear from the beginning that there was absolutely no love lost between Benjamin Netanyahu and Barack Obama. Obama treated the Israeli Prime Minister like a scorned mother-in-law. 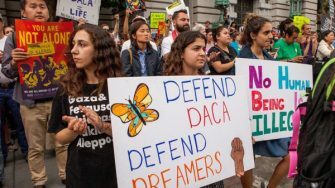 I am absolutely opposed to calling DACA recipients ‘Dreamers.’ That romanticizes what they really are: unlawful, illegal immigrants. Period. 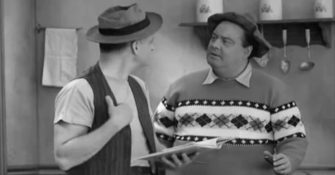 This particular episode is terrific as Ralph Kramden (the venerable Jackie Gleason) attempts to learn to play golf in only two days. He’s aided by his sidekick and perpetual irritant, Ed Norton (Art Carney). You’ll excuse me for saying this, but I have no time for whiny babies with a big case of victim mentality who want lots of stuff without lots of hard work. 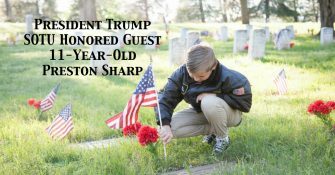 Anyone who watched the State of the Union couldn’t help but be touched by President Trump’s highlighted guests, especially 11 year old Preston Sharp. 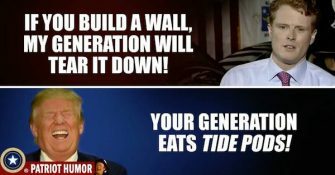 Joe Kennedy III Declares His ‘Generation’ Will Tear Down that Wall! Will the Kennedy clan ever just go away? Joe Kennedy offered up the Dem response to Trump’s State of the Union address. 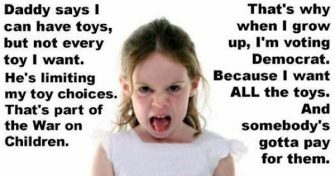 The Left — all the Progressives, MSNBC, CNN, late night talk show hosts, etc. 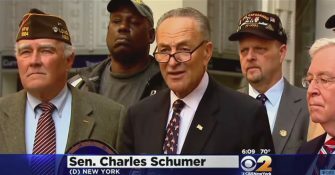 — are stroking out over Trump’s suggestion of maybe having a military parade. 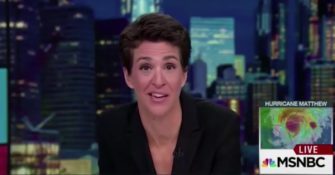 The Dems warned of dire consequences if The Memo was released. 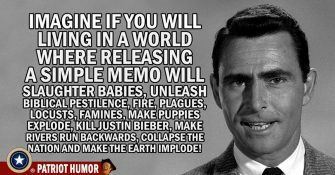 All hell would break loose and perhaps even the apocalypse if Americans actually read The Memo and saw the truth.